Over the past week multiple news agencies published stories about a new trend of veterans committing suicide on VA hospital campuses after receiving inadequate care from individual VA facilities. 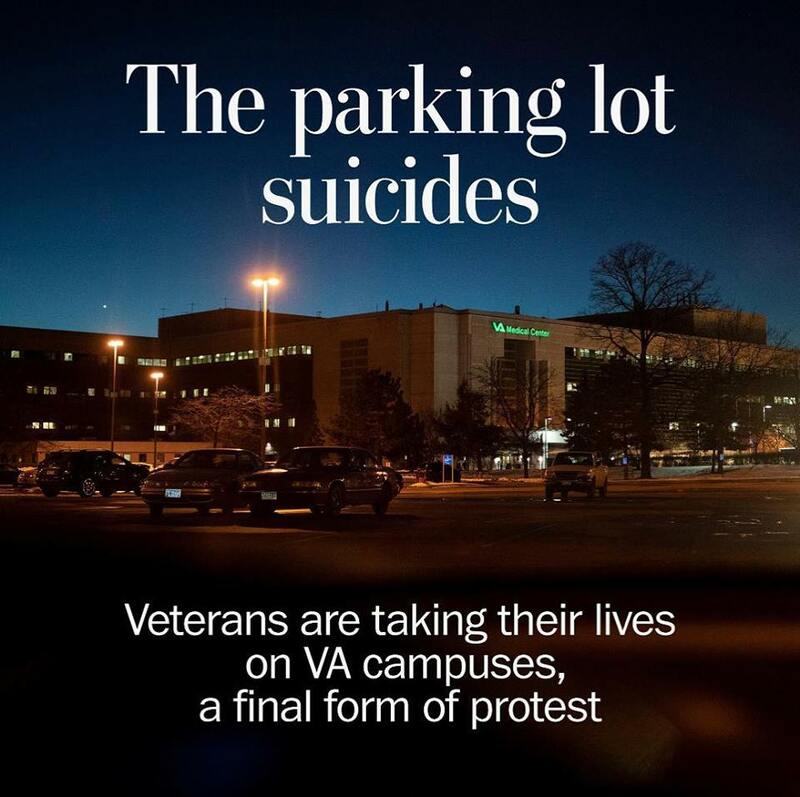 Nineteen suicides have occurred on VA campuses from October 2017 to November 2018 ― seven of them in parking lots, according to data the Washington Post obtained from the Department of Veterans Affairs. Concern has arisen that this is a new and gruesome form of protest by veterans to highlight how little help they were given in their time of need by the VA system. Here is a link to the story run by the Washington Post. The issue of military suicide has been a topic of great interest to me since 2013, when the VA released a study that covered suicides from 1999 to 2010, which showed that roughly 22 veterans were dying by suicide per day, or one every 65 minutes. Some sources, such as CNN and USA Today suggest that this rate may actually be low and not include some homeless veterans. As someone with many military family and friends (including my own son), I am very passionate about educating the public about this issue, and providing solutions to help prevent military suicides. Over five years ago we launched the nonprofit foundation CarePossible which provides free mental health and addiction treatment to veterans and military families. In that time we have been honored to help serve and save many veterans and military families. The latest reports show that there are now 20.6 military suicides daily in our country. Wonderful news that the number has gone down slightly, but that is still way too many men and women who served our country dying unnecessarily. 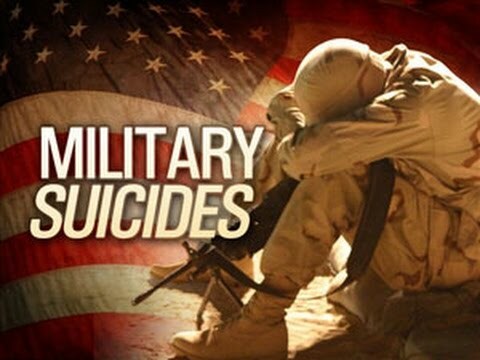 You can click here for a detailed report on military suicide by state. The National Suicide Prevention Lifeline offers free and confidential support to anyone in distress 24/7. Call 1-800-273-8255 24 hours a day. CarePossible offers free metal health and addiction treatment for veterans and military families. Call 949-303-8264 for more info or fill out an application for assistance here. Randy is a Certified Intervention Professional (CIP) and expert in helping families and individuals affected by addiction and/or mental health issues through counseling, coaching and interventions. He is an award-winning Board Certified Pastoral Counselor and is both licensed and ordained as a pastoral counselor. He has five professional coaching certifications and loves working with clients on executive coaching, life coaching, wellness coaching and recovery coaching. Randy has a master’s degree with emphasis in theology and counseling, a bachelor’s degree in management and leadership, and a certificate in health and fitness with emphasis in exercise physiology and sports psychology from UC Irvine. He has been leading groups, individuals and families to mental, physical and spiritual health in Orange County for over 25 years. His office is located in Laguna Niguel, CA. I recently attended a very interesting training on Pharmacogenomics that so impressed me I really felt the need to share what I learned with others in order to help as many people as possible. 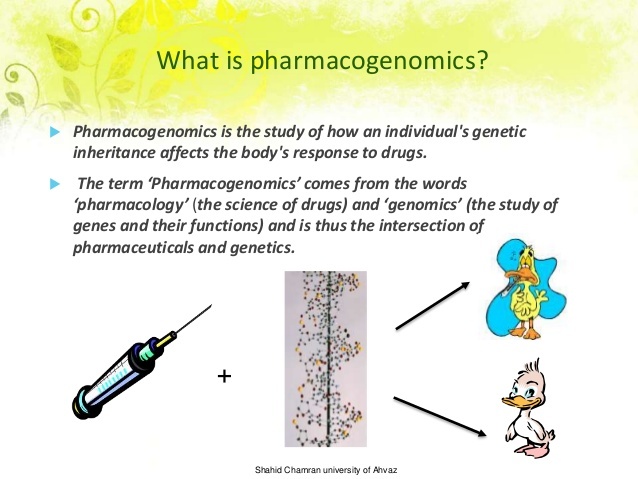 Pharmacogenomics is the study of how genes affect a person’s response to drugs. This is a relatively new field that combines pharmacology (the science of drugs) and genomics (the study of genes and their functions). 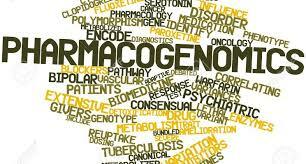 Pharmacogenomics analyzes how one’s genetic makeup affects their response to certain drugs. Having this information can be helpful in numerous ways. It can save money, save time, and even save lives. A very basic description of pharmacogenomics is that based on genetics, people have one of four different levels of metabolizing drugs: Poor Metabolizer, Intermediate Metabolizer, Extensive (“Normal”) Metabolizer and Ultra Rapid Metabolizer. One’s level of metabolizing determines which drugs are best for that patient. One actual case history we studied in the class involved a 30-year-old female who had a c-section. She had severe post partum pain and was prescribed codeine to treat the pain. The patient had severe side effects from the codeine, and the codeine passed through to her nursing baby causing severe problems and sadly, the baby died. Later testing showed that the patient was an ultra rapid metabolizer of codeine, and had her doctor known this fact, she would have been prescribed different medication. Another case we studied involved a young adult male who was prescribed wellbutrin for anxiety and depression. He then became much worse and was suicidal. Testing revealed that wellbutrin was not a good fit, so his medication was changed. He immediately felt better, lost all suicidal ideation, and reported feeling much less anxiety and depression. Undergoing the pharmacogenomics (PGx) testing seems wise for anyone taking medication for pain management, mental health, or addiction treatment. It can save time, money, and even one’s life. The cost for the test varies between $300-$500 and may be reimbursed by insurance. This is a newer field of study and is worth discussing with your physician. There were multiple physicians in the class I took and they all seemed very interested in how this science may help their patients. I would love to hear your thoughts on this topic or be a resource to you if needed. Randy is a Certified Intervention Professional (CIP) and expert in helping families and individuals affected by addiction and/or mental health issues through counseling, coaching and interventions. He is a Board Certified Pastoral Counselor and is both licensed and ordained as a pastoral counselor. He has five professional coaching certifications and loves working with clients on executive coaching, life coaching, wellness coaching and recovery coaching. Randy has a master’s degree with emphasis in theology and counseling, a bachelor’s degree in management and leadership, and a certificate in health and fitness with emphasis in exercise physiology and sports psychology from UC Irvine. He has been leading groups, individuals and families to mental, physical and spiritual healthy in Orange County for over 25 years. If you have a loved one or employee struggling with substance use disorder or other dysfunctional behavior, then the information in this blog post could literally save their life. You have probably heard that someone with a substance use disorder needs to hit a rock bottom before they will be open to help. There is truth to that. But the part you may not be aware of is that we do not have to helplessly wait around for our loved one to hit that bottom. In fact, doing so could lead to their suffering a fatal overdose. Harvard University, in conjunction with the Boston Police Department, did a study where they sent undercover officers to multiple locations in the Boston area to purchase illegal drugs on the street. The drugs were then taken back to a lab for analysis. The findings were very scary–most of the drugs purchased by the undercover officers tested positive for substances other than what the dealers claimed they were. For example, what was sold as heroin was often a synthetic opioid or some other combination of substances which often included the very deadly drug fentanyl. These findings show that loved ones with a substance use disorder may just be one use away from a fatal overdose. And with 160 fatal overdoses daily in our country, simply waiting around for our loved ones to hit rock bottom may prove to be a fatal decision. All too frequently these days, rock bottom can be death. Ken Seeley, interventionist on the long running, multi Emmy Award winning TV show A&E’s INTERVENTION has developed the HELPS model to guide interventionists and families to work together in raising the bottom, or creating a rock bottom, to help save a loved one’s life and move them into recovery. The HELPS model looks at five areas where the consequences of addiction take their toll. Health–Addiction is a physical disease affecting the user’s body from the inside out. Consequences range from liver disease, skin abscesses, premature aging, psychiatric disorders, memory loss, central nervous system damage, and eventually death. Sometimes it is a health issue that motivates the loved one to move towards recovery. Environmental–It has been proven that environmental factors strongly influences or arrests the development and subsequent behaviors of someone with substance use disorder. Are you supporting the recovery of the loved one, or enabling their addictive behavior? Legal–Addiction frequently involves legal consequences such as DUI’s, arrests, marital separation, divorce, loss of child custody, and exclusion from wills. Often times the loved one will engage in illegal activities in order to support or maintain their habit. Personal finances–Addiction creates financial crisis including job termination, eviction, foreclosure, and even bankruptcy. Supporting a loved one by giving them money, paying their bills or employing them can enable their addiction. Spiritual–Has your loved one lost faith, hope and peace in their life? Addiction is also a spiritual affliction that robs the loved one of their spirituality leaving them to feel hopeless and alone. By identifying which of the five areas above are affecting your loved one, then determining how to leverage that area and set healthy boundaries and consequences in a respectful and family-unified manner, HELPS manually raises the rock bottom instead of playing the deadly game of waiting for the loved one to hit rock bottom on their own–which could mean a fatal overdose. The disease of addiction is taking too many lives and we have to find smarter, more effective ways to save our loved one’s lives. Using the HELPS model is a smart way to go. If you think you or a loved one may have an addiction, please feel free to call or email me for a free consultation. 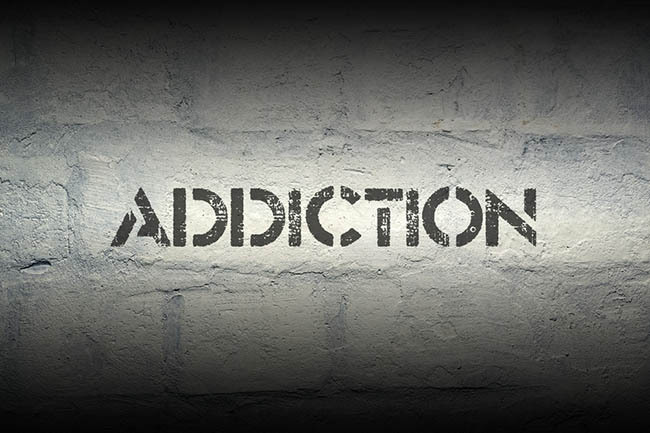 Addiction is serious, but intervention and treatment can save lives. Randy is a Certified Intervention Professional (CIP) and expert in helping families and individuals affected by addiction and/or mental health issues through counseling, coaching and interventions. He is a Board Certified Pastoral Counselor and is both licensed and ordained as a pastoral counselor. He has five professional coaching certifications and loves working with clients on executive coaching, life coaching, wellness coaching and recovery coaching. Randy has a master’s degree with emphasis in theology and counseling, a bachelors degree in management and leadership, and a certificate in health and fitness with emphasis in exercise physiology and sports psychology from UC Irvine. He has been leading groups, individuals and families to mental, physical and spiritual healthy in Orange County for over 25 years. In order to identify whether there is a problem, the first step is to ask whether one is troubled by the consequences of the use pattern. Does the person continue to use even when there are adverse consequences such as broken relationships, legal issues and loss of employment? The second step is to ask if there is craving. Does the person want the activity they’re engaged in more and more over time? Are they often thinking about it and planning the next time to do it? The third step is to identify if there is a control loss. Has the person lost control of the activities in their life? Whether they are drug involved, gambling involved, shopping involved or whatever. When someone is active in addiction their life is often out of control. When someone meets the criteria of these 3 C’s, whether one, two or all three of them, then there is a good chance that they are experiencing an addiction and should receive a more thorough assessment. If you think you or a loved one may have an addiction, please feel free to call or email me for a free consultation. Addiction is serious, but treatment can save lives. This is a great info-graphic on the basic science of addiction. I believe it is important for communities and families to get educated about addiction. What are your thoughts? Does it raise any questions for you? Is there anything you would add? Randy is married to Kim and they live in Laguna Niguel. Together they have a blended family of five adult children and three beautiful grandchildren. (If you don’t believe Randy, he will gladly show you pictures!) Randy is a Certified Intervention Professional (CIP) and expert in helping families and individuals affected by addiction and/or mental health issues. He is a Board Certified Pastoral Counselor and is both licensed and ordained as a pastoral counselor. He has five professional coaching certifications and loves working with clients on executive coaching, life coaching, wellness coaching and recovery coaching. Randy has a master’s degree with emphasis in theology and counseling, a bachelors degree in management and leadership, and a certificate in health and fitness with emphasis in exercise physiology and sports psychology from UC Irvine. He has been helping groups, individuals and families get mentally, physically and spiritually healthy in Orange County for over 25 years. Sober Holidays Tip #1: Take it easy! Get plenty of rest, watch what you eat, get your usual exercise, and take time for meditation. Maintain your recovery routine as much as possible. Sober Holidays Tip #2 Don’t romance the drink or drug. If everyone starts talking about the “good old days,” leave the room. You don’t want to start thinking about your drinking or using days. That can lead to preoccupation and obsession, and then to cravings. Keep your focus on your life right now, your life in recovery. 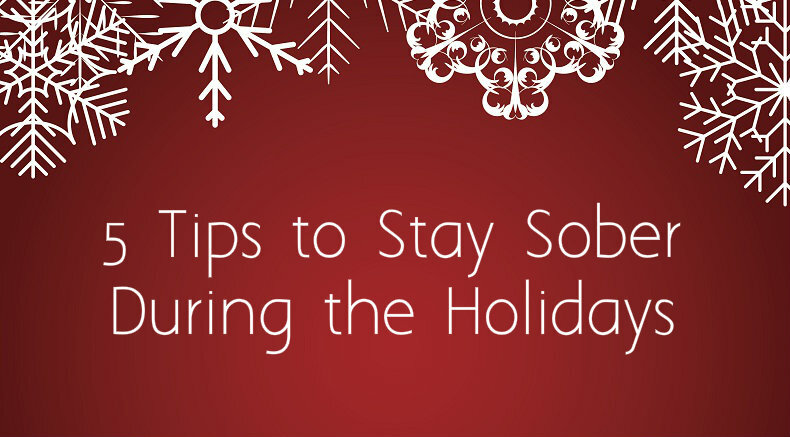 Sober Holidays Tip #3 Be very careful about what you eat and drink. Alcohol doesn’t come only in a glass or a bottle. It can come in bowls and plates, too. And what you don’t know can hurt you. One reason, of course, is that even a small amount of alcohol can trigger a relapse. How much does it take? A tiny drop? A small glass? There is no definitive answer, so it’s best to avoid all alcohol and keep your risk as low as possible. Another reason is the psychological risk: the taste plus the “thrill” of knowing that you’re consuming alcohol could turn on a compulsion to drink. Remember, the addiction is in the person, not the substance; it’s critical to stay away from that slippery slope of guessing what might be risky for you. Think about recovery, Talk about recovery. Act on recovery, connect with others. Sober Holidays Tip #5 It’s okay to tell people you are now in recovery. There is a lot less stigma these days to being in recovery. Nearly everyone knows someone who is in recovery and very open about it. It’s your choice whether or not you want to tell people. One good reason to be open about it: If your friends don’t know you’ve given up alcohol, they may lead you into temptation without intending to. Another reason: When you let it be known that you don’t drink, you offer support and encouragement to others who are thinking about sobriety but are afraid to take the leap. You just might be the catalyst that gets someone else started on recovery. The above tips are from “The Recovery Book” by Al J. Mooney, MD, Catherine Dold and Howard Eisenberg which is a great resource for anyone in recovery or with a loved one in recovery. As a counselor, coach and interventionist I would love to hear your thoughts on this topic. My email is randy@randymoraitis.com and my phone is 949-303-8264. Websites: www.randymoraitis.com and www.carepossible.org. Adverse childhood experiences, also known as ACEs, are adverse or traumatic childhood experiences that damage a child’s developing brain in such a way that the effects can show up years later. ACES can cause chronic disease, mental illness and other serious issues. 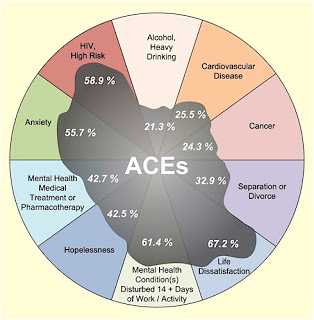 “ACEs” comes from the CDC-Kaiser Adverse Childhood Experiences Study which showed that childhood trauma leads to the onset of adult of chronic diseases, depression and other mental illness, violence and being the victim of violence. The ACE study has published 70 research papers and hundreds more research papers have been published based on the ACE study. The ACEs study is extremely significant because ACEs cause chronic disease such as cancer and heart disease, as well as mental illness and violence. Nadine Burke Harris, MD, MPH did an amazing TedTalk on this issue which I highly recommend. Here is a link: TedTalk on ACEs. As a counselor, coach and interventionist I find this research extremely interesting and helpful in understanding my clients. I would love to hear your thoughts on this topic. My email is randy@randymoraitis.com and my phone is 949-303-8264. Randy is married to Kim and they live in Laguna Niguel. Together they have a blended family of five adult children and three beautiful grandchildren. (If you don’t believe Randy he will gladly show you pictures! )Randy is a Certified Intervention Professional (CIP) and expert in helping families affected by addiction and/or mental health issues. He is a Board Certified Pastoral Counselor and is both licensed and ordained as a pastoral counselor. He has five professional coaching certifications and loves working with clients on executive coaching, life coaching, wellness coaching and recovery coaching. Randy has a master’s degree with emphasis in theology and counseling, a bachelors degree in management and leadership, and a certificate in health and fitness with emphasis in exercise physiology and sports psychology from UC Irvine. He has been helping groups, individuals and families get mentally, physically and spiritually healthy in Orange County for over 25 years. 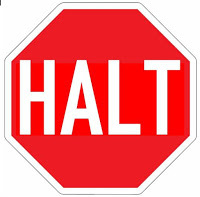 If you or a loved one are affected by any mental health, addiction or eating disorder issue then I encourage you to use HALT as an easy-to-remember tool for staying healthy. It’s wise to avoid getting too Hungry, Angry, Lonely or Tired because when we do, any underlying issues (such as anxiety, depression, bipolar disorder, addiction, eating disorder, etc.) can be negatively impacted. HUNGRY–have you seen those Snickers commercials where Marcia of The Brady Bunch turns into Machete because she’s too hungry (hangry)? It is both funny and true! While I’m not recommending a candy bar, I do recommend that you keep healthy snacks with you throughout the day such as almonds, protein bars, or fruit. When your blood sugar drops your brain stops working at an optimal level and that means a bad decision or bad mood could easily happen. Keep your mind and body fueled for peak performance! ANGRY–I love this quote from Thomas Jefferson: “When angry count to ten before you speak, if very angry count to one hundred.” Great advice here! Give it a try when you get angry. Four Square Breathing is another great tool to use when you feel angry. It can help you calm down and regain focus so you do not make any bad choices. Here is a link to easily learn how to do four square breathing. LONELY–Human beings need healthy community, healthy companionship. There is a great body of research proving that isolation has numerous negative side effects even causing cancer. There is a very wise quote which says, “Two are better than one…” (Ecc 4:9). This is so true! If you find yourself isolating–reach out to a friend, family member, or neighbor. Or join a club, group or activity that connects you to others. If you know of someone that is isolating, reach out to they. They may need you more than you know. TIRED–Being tired is bad for our health and can lead us to make bad decisions. Have you ever said anything that you didn’t really mean because you were too tired? Or have you ever failed to have a peak performance because you were too tired? Research clearly shows that we need 7-8 hours of sleep per night to be at our best. I encourage you to have some discipline with this–turn off the TV and put down the phone or iPad early enough for you to get a good night’s rest. Don’t sleep with your phone right by your head–the light interferes with your sleep. Be sure to limit caffeine during the day–especially later in the day. Try relaxation and visualization exercises to help induce sleep. Use a sound machine or app to create a calm, soothing environment. So give HALT a try. If you apply the concept on a daily basis you just might find yourself having a much healthier and happier life. You can email me at randy@randymoraitis.com. In my last blog post entitled “10 Facts About Opioids” I shared that according to the Centers for Disease Control (CDC) the United States is in the midst of a prescription painkiller overdose epidemic and discussed important facts about opioids such as heroin, vicodin, etc. This post will follow up on our look at opioids with a discussion of treatment options for opioid abuse and addiction. Currently there are some very effective drugs for opioid overdose. If someone overdoses on opioids and is barely breathing and close to death, an opioid antagonist such as naloxone, can be administered. This can provide immediate relief because it blocks the opioids from binding to the receptors in the brain. Thankfully, more and more first responders, as well as citizens, have been trained in the use of naloxone and this has led to saving many lives. The first step to treating opioid addiction is detoxification (detox). Detox is extremely challenging because opioid users experience such intense withdrawal symptoms when they quit taking the drug. I have seen this first hand numerous times while helping addicts get clean. I even once had an individual do their entire detox in my home without medication as they had no other treatment options. It can get messy and ugly! Users encounter severe withdrawal symptoms that mirror the opposite effects of the drug. Instead of feeling euphoric, the user is extremely depressed. Instead of pain relief, users experience many aches and pains. Instead of constipation, users have diarrhea and other flu-like symptoms. It is common to treat opioid addiction by administering a slower, longer acting opioid, such as methadone instead. Methadone maintenance is the most common treatment for heroin addiction and it has had significant success. One study showed that 80 percent of people who stick with a methadone maintenance program for one year end up abstinent from heroin for one to three years afterwards. By contrast, only 12 percent of people who drop out of methadone maintenance stay abstinent that long. Other opioids are also regularly used in the treatment of heroin addiction. In fact, heroin itself is used in the treatment of heroin addiction in a number of countries. The idea is to give users a lower, but stable, prescription dose of heroin without all the risks associated with obtaining and using heroin on the street. Not surprisingly, heroin addicts are more likely to stick with a heroin maintenance program compared with a methadone maintenance program, and perhaps as a result, they’re less likely to use illegal drugs. 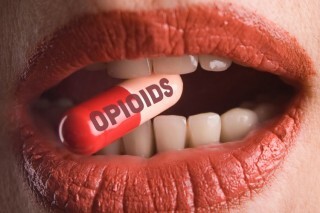 Other opioid drugs are frequently used in treating opioid addiction. Of course, this is very controversial as this is simply substituting one addiction for another. Another common approach to treatment is to remove any reward associated with relapse. This is done by having the patient take an opioid antagonist such as naltrexone which blocks the rewarding effects of the opioids. This treatment works well with individuals highly motivated to quit who continue taking the naltrexone, but a problem arises when an individual gets very strong cravings and stops using the naltrexone. In addition to pharmacological treatments, it can be most helpful if opioid addicts also receive cognitive behavioral therapy where they are trained to recognize and avoid their triggers for drug use. 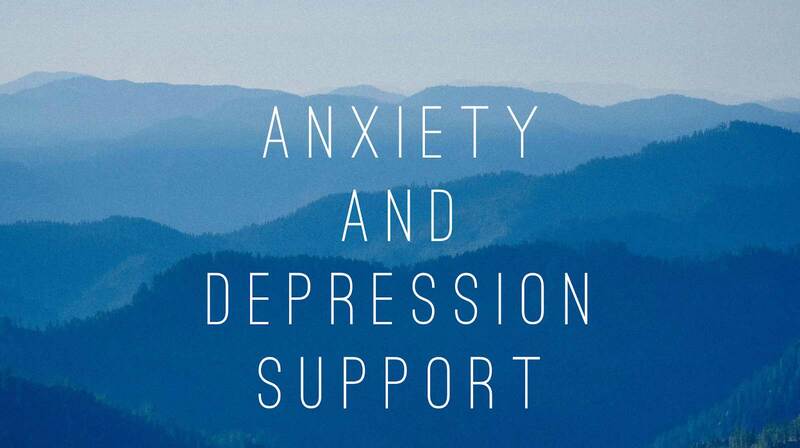 It is also very helpful for the addict to receive counseling and coaching to move forward with a healthier life, and to be in a healthy supportive community which may include 12 step groups like Narcotics Anonymous or Lifelines. Finding freedom from opioid addiction is very difficult, but it can be done with effective treatment, as well as healthy community and support in the life of the addict. If you have a loved one struggling with an opioid addiction, do not give up on them. Do all you can to get them into treatment, perhaps even an intervention, as it just may save their life! For more information or to take the first step in getting a loved one help call 949-303-8264 or email randy@carepossible.org. Frequently, when an individual no longer has access to prescription opioids, they turn to heroin which is both affordable and easy to acquire. Presented here, with the goal of increasing awareness, are some basic facts about opioids. 1. Opium is the latex secreted from the seedpod of an opium poppy. Raw opium contains about 10 percent morphine and about 2 percent codeine. These are the opiate drugs, which just means that they’re natural products of the opium poppy. A number of other drugs, including heroin, are not contained in opium itself but are made from natural opiates or have very similar effects. These are sometimes called opioids. 2. The opiate drug morphine is among the most effective painkillers available today. Codeine has similar effects but is weaker than morphine. It’s often used to treat minor pain and as a cough suppressant. Of course, opium and drugs derived from opium are also often used recreationally, because they can produce a dreamlike, euphoric state. 3. People have known about those effects for a very long time. In fact, there’s evidence that the Sumerians knew about the psychoactive properties of the opium poppy plant as early as 3400 B.C. The Ancient Egyptians used opium medicinally. In the 1700s and 1800s, a mixture of alcohol and opium called laudanum became very popular and was widely used as a pain reliever, as a sleep aid, and to treat a variety of ailments. In the mid-1800s opium trade became a big business and even led to two wars, known as the opium wars, between the British and the Chinese. 4. In 1804, a German pharmacist isolated a pure alkaloid from opium and gave it the name morphine, after Morpheus, the Greek god of dreams. Morphine was more potent than opium or laudanum, and it became an invaluable tool to doctors in the treatment of pain. Morphine was administered to injured soldiers during the American Civil War. 5. In 1898, Bayer pharmaceutical company began selling a synthesized opioid that was one-and-a-half to two times more powerful than morphine, and it was marketed as a nonaddictive morphine substitute and cough suppressant—heroin. Bayer sold heroin for more than 10 years before its harmful effects were recognized and it was removed from the market. Heroin is now recognized to be among the most addictive drugs in the world. 6. Opioids are narcotic analgesics, which reduce pain without eliminating sensation. They’re distinguished from anesthetics, which reduce all sensation and often produce unconsciousness. Opioids also produce a dreamlike, euphoric state, which is what makes them attractive to recreational drug users, at least initially. 7. At higher doses, opioids produce a rush of euphoria. But the nauseating effects can become more severe, and some people also experience anxiety and restlessness. The most dangerous effect is a significant suppression of breathing. In fact, in an opioid overdose breathing can be suppressed enough to lead to death. 8. About 45 people in the United States die every day from overdosing on a prescription painkiller—that’s more than the number of overdose deaths from heroin and cocaine combined. 9. Similar to other drugs, opioids overstimulate the brain’s reward circuit and trigger a large release of dopamine. The brain interprets that dopamine as a reward prediction error, or an indication that taking the drug was better than expected. That reward prediction error in turn backs up to environmental cues that are associated with drug taking, so when the user encounters those cues in the future, he or she experiences a very strong craving to use the drug. 10. There are some very effective treatments for opioid overdose. If a drug user overdoses on opioids, is barely breathing, and is close to death, if someone administers an opioid antagonist drug, such as naloxone, the drug user will recover almost immediately, because the opioid will be blocked from binding to the opioid receptors. If you have any prescription opioids in your home, be sure to keep them stored securely so any guests or visitors to your home will not be able to access them as these meds are frequently stolen. In my next blog post we will look at treatment for opioid addiction. Special thanks to Professor Thad Polk of the University of Michigan for contributions to this blog. If you or a loved one are affected by an opioid addiction, please contact me at randy@randymoraitis.com or 949-303-8264 to discuss options for healing. You can visit my websites at www.randymoraitis.com and www.carepossible.org.